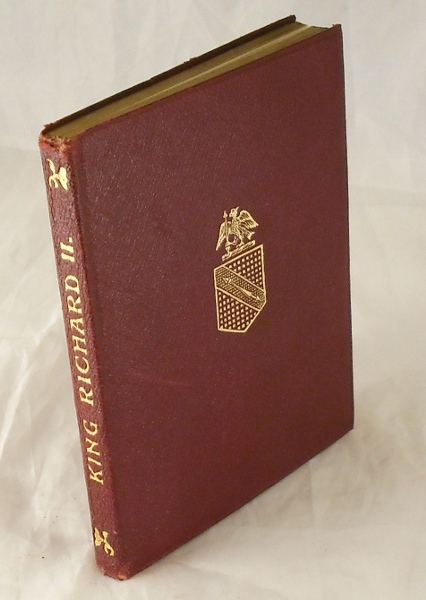 Hadsome Temple edition of Richard II. 32mo. [x] 141pp. 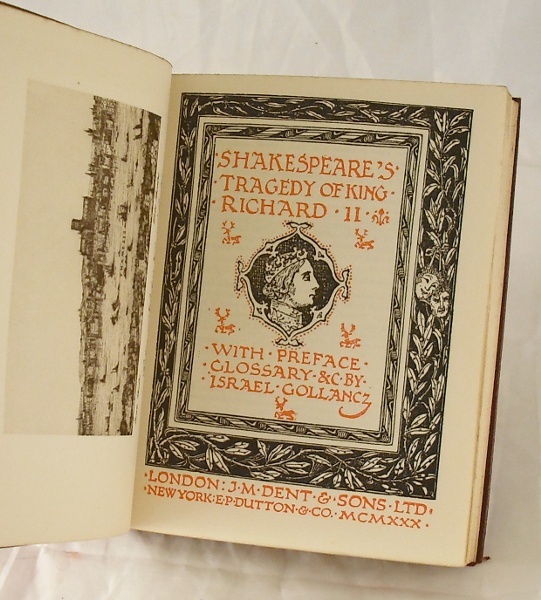 Neat leather volume with frontispiece and text printed in red/black. Top edge gilt. With preface and glossary by Israel Gollancz. Spine has rubbing to extremities. Slight scratch to cover. Binding sound, contents clean. Very good overall.